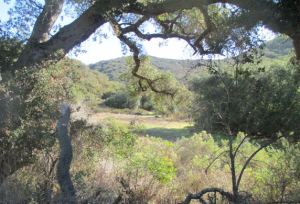 The Safe Trails Coalition formed in 2012 to preserve access to Orange County’s diverse landscapes through trail systems that allow people to enjoy these lands while protecting the resources in them. The Coalition supports all trail users who use the existing network of authorized trails, are willing to ensure native plants and wildlife and other natural resources are protected, and agree that all trail users and park visitors are entitled to a safe and enjoyable experience in the wilderness. We’ve received a grant from REI to assist in meeting our mission, but we also rely on the generosity of individuals to support our efforts. In October 2016, the Safe Trails Coalition released a factsheet outlining the costs associated with off-trail use. The impetus for the review was to understand the actual costs associated with staffing, trail maintenance, and habitat restoration; and to understand how or if off trail uses impact a land manager’s budget. In short, it does. Creating and using unauthorized trails not only has impacts to habitat, but also directly impacts the public’s pocket book by creating the need to fund the restoration costs, which redirect staff time away from normal activities. Many land managers have underlying agreements associated with the land that require them to maintain the habitats to a specific stewardship standard. View the One Page Factsheet.